Here’s a riddle for you: what is one of the most important success skills for children to learn, but also one if the hardest for parents to teach? The answer is: self-discipline. Very few traits are more essential in order to attain any measure of success and achievement. Unfortunately, while it’s not too difficult to figure out how to teach courtesy, or respect, or empathy, or other important character traits, self-discipline is harder to teach. Have far less leisure time with their parents, due to the rushed pace of family life today. In addition, many of today’s kids are over-scheduled with extra-curricular activities, leaving them no time for self-reflection, or for the opportunity to think before they act. 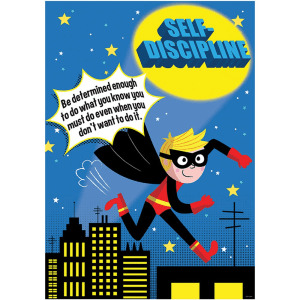 How can we attain any measure of academic, social, or occupational success without self-discipline? Common sense tells us that we can’t, and science backs us up. Stay tuned for Part 2 next time!